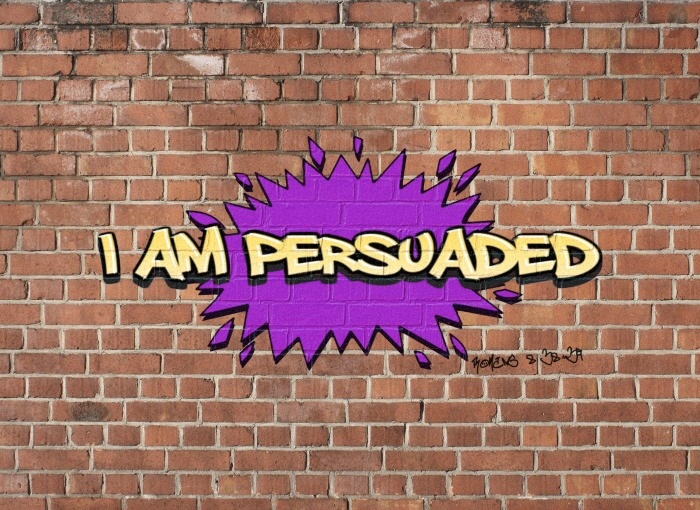 Home › Believing › I Am Persuaded…Are You? The question in the title is simple but it is not easy to answer. Only experience in God will allow you to give a definitive yes. Anything spoken in haste is premature at best. It is the Word, coupled with our life’s experiences—our ups, downs, stumbles, failures, and victories—that teaches us about God and His love for us. Sometimes we have gone through hellish circumstances, that seem to have knocked us flat on our faces, and would have quit if it were not for the loving grace of God. It seems to me that despite the fact that he was ready to give up—he was persuaded that God will come through in the most difficult times. Are you persuaded in the love and faithfulness of God and His willingness to deliver you? Jeremiah was ready to quit but he was compelled to continue despite how he may have felt—because of God’s Word inside of him. Do you have the Word on the inside of you in such a way that you are persuaded to the place that you cannot quit on God—because you know He will NEVER quit on you? Finally, let us not forget our Lord and Savior’s passion in the garden. Just think of where we and the world would be if He was not determined to carry out God’s will! I believe His “let this cup pass” plea was outweighed by His “nevertheless, not my will but thy will be done” submission, because of Him being convinced or persuaded of God’s love and plan for mankind! To your question my response isyes, I do believe I am persuaded. I sure hope so. Good to hear that Elaine! Just keep on following God’s Word to make it rock solid! Blessings!